Today, we are going to tour quite an extraordinary project. 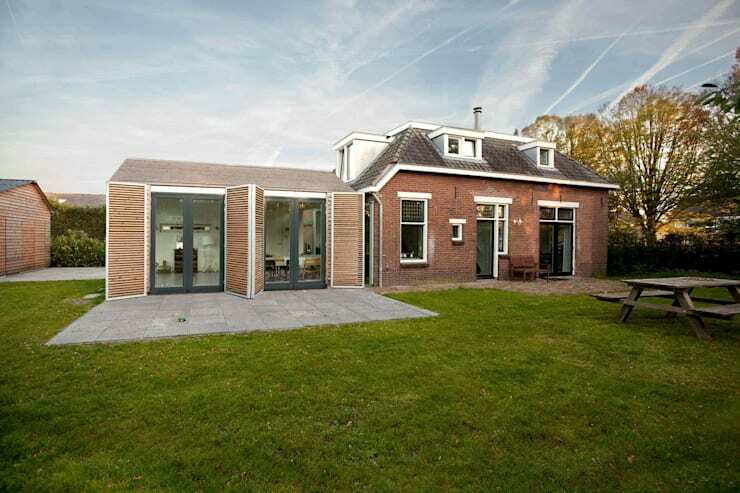 We will see how design professionals Rhaw Architecture managed to add a added a beautiful wooden extension to a traditional brick home, extending the living space. As we know remodeling or expanding a home is not always easy. In fact, the older the house is, the more difficult it is to find an appropriate extension. This is when architects usually make one of two choices: constructing something that is completely in style and in line with the old building or building a whole new section, which clearly contrasts with the old building. In this design, we will clearly see how the designers went for option two, creating a beautiful contrast between the old and the new. You won't believe how well they work together! From the outside, it isn't that easy to see what this new and savvy extension is. Is it a barn? Is it a chapel? The closed doors on the side create the impression that this could be nothing more than a wooden shed, but this couldn't be further from the truth. This new section of the home has been built as an extension of the living room from the old house. Despite the closed look and feel that we get from this image, when the shutters are open an abundance of natural light flows into the space. We can also see that the one side is almost completely made of glass, which creates a transparent barrier between the interior and exterior spaces. Do you see how there is now so much more space? 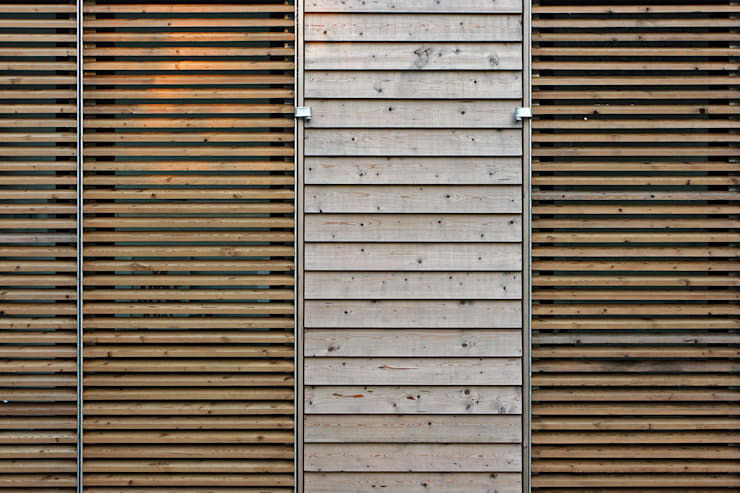 If we look at the structure a little bit more closely, we can see that timber has been used in its purest form. This makes for a very rustic, earthy and warm design. While the wood looks quite rough, there is no doubt that it has undergone treatment and polishing. Sustainability is obviously paramount. The wooden structure is also very durable and will last in all weather conditions. There is also a possibility in future of adding colour to the design, by painting the wood. 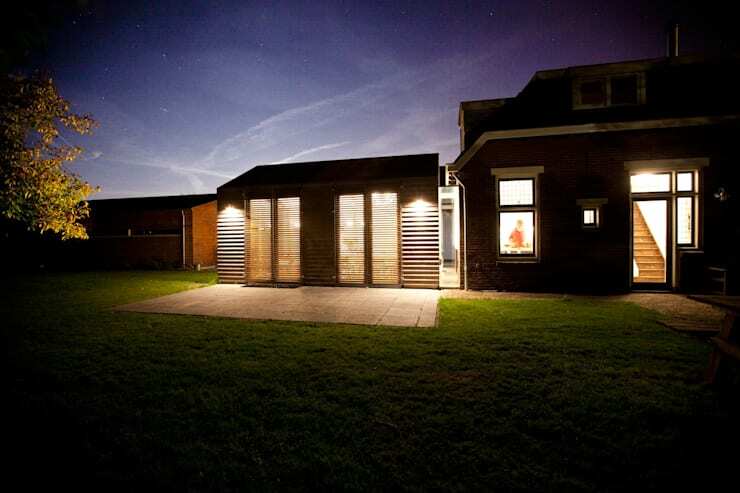 Once the sun has set, the extension looks very charming! The two outdoor lights enhance the detail and design of the home, creating a very atmospheric effect. It also allows those who are walking between the garage and the home to see where they are going. We can also clearly see the transition between the old and the new here. In fact, a piece of glass subtly separates them. Do you see how the two different styles of modern and traditional complement each other rather than clash? When the shutters and doors are opened, the whole building takes on a new look and feel. This creates a beautiful connection between the interior and exterior spaces, while making for a very light and bright appearance. The residents of this home could possibly furnish the terrace with some gorgeous, outdoor chairs and tables. This would extend the living area to the outdoors, which is ideal for summer. When summer gives way to winter, snowflakes will also change the whole look of this space, turning this into a cozy, wooden cottage. Can you spot the garage in the corner, which has a very similar design and style to the extension? We end our tour looking at this image, where we can see how magnificent the project looks in the dark. It features a very charming facade that is bound to attract attention. 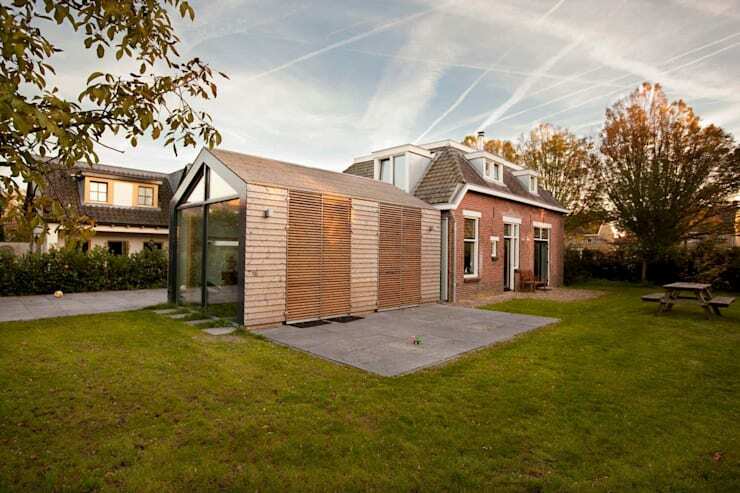 This really is a wonderful solution for those looking to extend an older home. The architects have also managed to shape this new section of the home perfectly! If you've enjoyed this project, you'll love this one too: this family had no space for a kitchen so they built an extension. 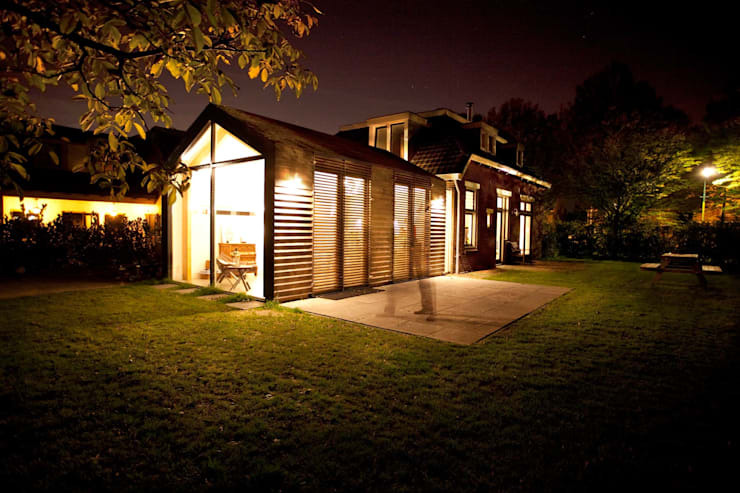 Also check out this weekend home that gets a wicked extension. Would you combine old and new like these designers have done?